A project to cater for the needs of mentally ill women, their children and caregivers has been launched in Tamale. The Maternal Mental Health project, funded by the DFID/UKAID and the European Union, will screen about 29,520 mentally retarded women in the three regions of the north, Brong-Ahafo and Greater Accra Regions. It is aimed at training and supporting 400 midwives, 800 community health nurses and 900 community health volunteers in the selected regions. Community-based volunteers will also be trained to identify pregnant women who will need interventions. The extremely poor mental health women will be supported to form self-help groups. The implementation agencies are two non-governmental organisations— Gub-Katimali Society and Basic Needs Ghana. Sheikh Yakubu Abdul-Kareem, Executive Director of Gub-Katimali Society, revealed that his organisation has so far recorded a total of 5,000 mentally ill people in the Northern Region. The statistics, he explained, necessitated the formation of 104 associations of mental health people and their caregivers. Adam Dokurugu Yahaya, Programmes Coordinator of Basic Needs Ghana, advocated the need to ensure that no mentally retarded woman dies during child delivery. “We want to cover many mental health cases associated with women,” he stated. He anticipated that the project would improve maternal mental health outcomes for women. Dr. Braimah B. Abubakari, Deputy Director of Clinical at the Northern Regional Health Directorate, condemned the practice of aborting the pregnancies of mentally ill women. “Stop aborting the pregnancies of mentally ill women. Respect the human rights of mental health patients. Stop the stigmatisation and discrimination,” he said. He added that any health practitioner or traditional birth attendant caught abusing the rights of mentally retarded women would face the full rigours of the law. 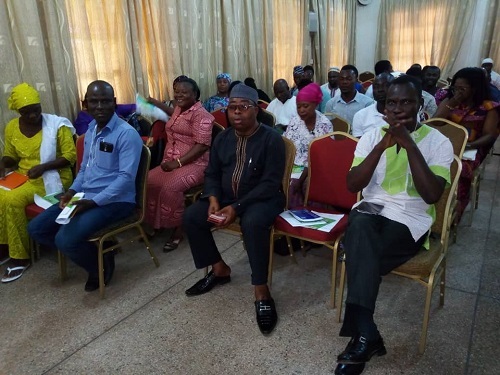 Dr. Abubakari reaffirmed the Ghana Health Service’s commitment to training faith-based and traditional healers to augment the services of health practitioners in deprived communities. He decried the absence of a resident psychiatrist at the Tamale Teaching Hospital (TTH) and asked government to immediately address the problem.